"The authors have undertaken the difficult task of bringing to contemporary readers the sounds of American slave culture . . . [giving] vibrancy and texture to a complex history that has been long neglected." "The book's strongest point is its attention to detail . . . [it] will not only be valuable to young scholars, but . . . to young performers and composers, especially with the explosion of interest in 'roots music,' looking for new sources of original and searing music." "A lyrical and original treatment of the musical and spoken culture of American slaves. 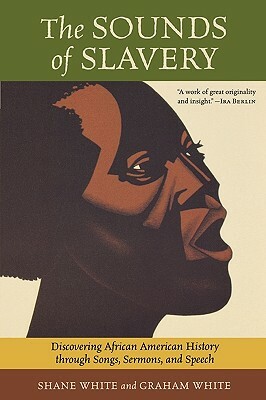 This book is moving testimony to how scholarship can penetrate the transcendent spirit once considered exotic or unknowable, how historians can trace social survival to the human voice in slavery's heart of darkness." "A seminal study of a neglected aspect of Southern and African-American culture . . . and the approach to the topic is both creative and resourceful. The book is highly recommended." Shane White and Graham White, who are not related, are professor and honorary associate, respectively, in the history department at the University of Sydney, Australia. They are the coauthors of Stylin': African American Expressive Culture, from Its Beginning to the Zoot Suit.